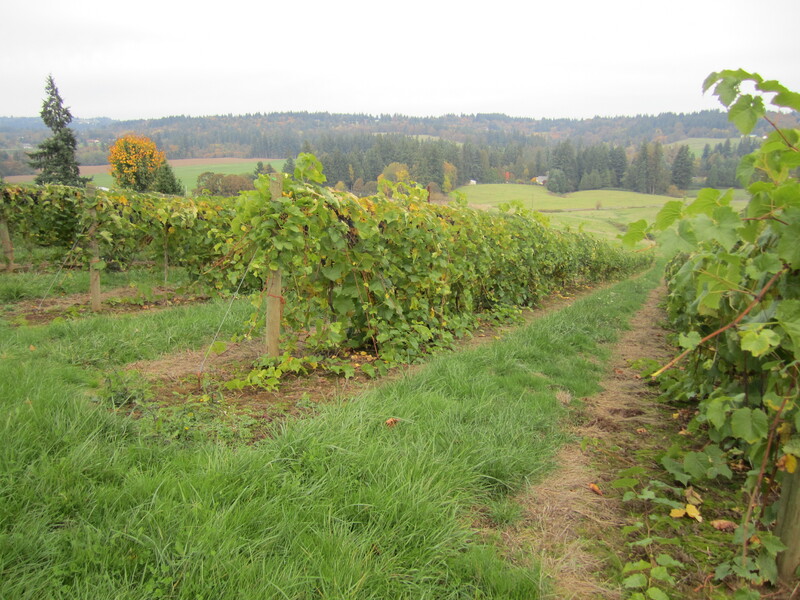 King’s Raven Winery, perched atop one of the many rolling hills in Oregon’s oldest city, is a vineyard with a view. This gorgeous plot of land has been in the Ingram family since Marvin Ingram purchased it in the early 1940s, and it’s easy to see why they have not let it go. Marvin initially raised cows, pigs, chickens, and horses, as well as a son named David. David grew up subsistence farming on the land and came to understand its intricacies. When David Ingram married Sheri and the couple raised their own family, including a son, Darin, and a daughter, Kim, the farm experienced a transformation. Darin had been working as a “cellar rat”–an endearing phrase that translates to free labor in exchange for wine–in the late 1990s. While this was a good deal, Darin eventually realized he could turn his newly honed craft into a living. He spent two years trying to convince his dad to give him an acre to grow grapes. 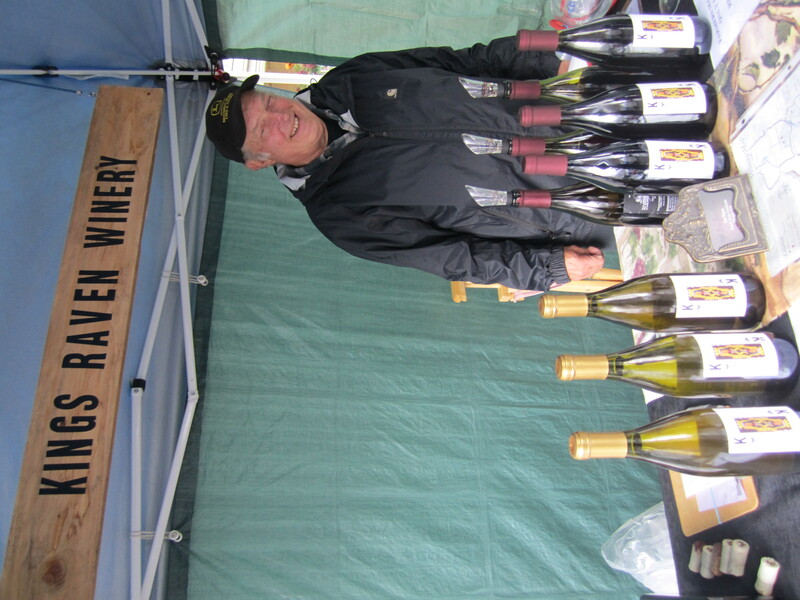 Darin’s persistence eventually paid off, and after a family meeting, the decision was made to enter the wine business. As a young start-up, the Ingram family knows that slow growth will be the key to their success. David draws a parallel between running the business and making the wine: “You’re trying to match what the grape does in the soil and what the wine does in the bottle.” Thus, the family utilizes patience and care in both the business model and the wine-making process. For this reason, the family carefully selects which grapes to cultivate and attentively watches them grow. They test each grape on a small plot of land before adding a large quantity to their vineyard, ensuring that it will produce high quality and flavorful wine. As David tends to the grapes on the land, he takes note of the color of the leaves. He explains, “When the leaves turn yellow, it means the plant is no longer putting anything into the grapes.” They’re ready for harvest. Harvest time is especially busy, so David and Sheri usually enlist the help of their young grandchildren: “If the kids want to earn spending money, they pick grapes,” Sheri says, laughing. After the grapes are removed from the vines, they are transported to an urban winery in Portland where Darin puts his skills to work. First, the grapes are de-stemmed and crushed. The white grapes are pressed and fermented immediately, while the juice remains on the skins of the red grapes for a period of time before being pressed and fermented. 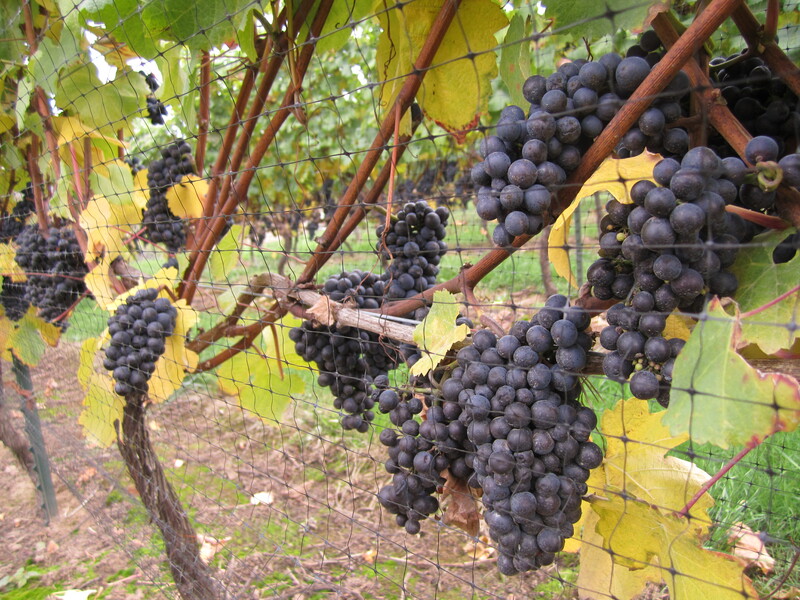 The two different types of grapes also receive unique treatments during the fermentation process: reds develop their flavor in wooden barrels, while whites become fruity and crisp in stainless steel containers. This entry was posted in Food Warrior Interns, In the Pantry (food artisans) and tagged david ingram, gina lorubbio, king's raven winery, marvin ingram, Real Time Farms, winery. Bookmark the permalink.